The Independent evidently has no idea why Co-op Bank closed the account of the “pro-Palestine” NGO Friends of Al-Aqsa. A Jan. 6 Indy report (Co-op Bank shuts down account belonging to Palestinian NGO Friends of Al-Aqsa ‘without explanation’, Jan. 6) informs us that a “British NGO that supports Palestine” has called for public support after Co-op Bank closed its account. We get a hint of what may be the problem in a quote by a bank spokesperson, included in the article, who noted that banks are required to “make sure the funds do not inadvertently fund illegal or other proscribed activities”. In fact, if the Indy had conducted even a minimal amount of research, it could have at least provided readers with a little background on possible “proscribed activities” by Friends of Al-Aqsa (FOA), such as the fact that the group and its leadership supports Hamas and their acts of violent “resistance”. Although FOA is involved with a number of anti-Jewish initiatives, it has been particular instrumental in the establishment of the annual ‘Al Quds Day‘ events in London, in which a wide variety of extremist groups march in support of the Lebanese terrorist group Hezbollah and the Iranian regime. 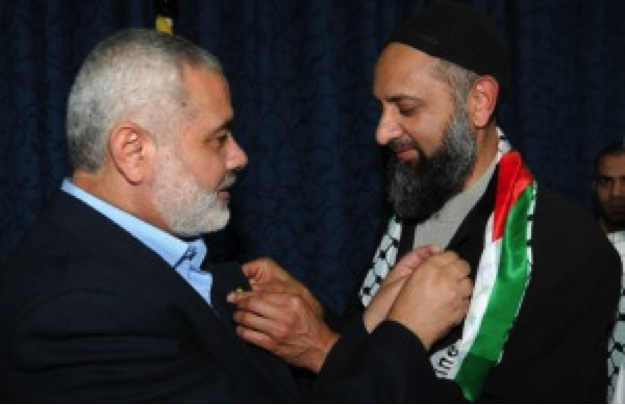 Further, as Harry’s Place noted, FOA has also published Azzam Tamimi, a man who supports suicide bombing. Interestingly, the Indy includes a quote by the group’s founder and chairman, Ismail Patel, who also expresses his shock that the bank closed their account – the same Ismail Patel who has expressed support for Hamas, endorsed the late Holocaust Denier Roger Garaudy and who served as spokesperson for the Muslim Brotherhood-affiliated ‘British Muslim Initiative’. Especially in the context of the British government’s new counter-extremism strategy, the fact that a major financial institution decided to sever ties with FOA wouldn’t be the least bit surprising to anyone even remotely familiar with the group’s radical ideology and support for terror movements. Laws in the UK are such that any person making an adverse comment is at risk for being sued for libel. Banks are supposed to have lots of money, so if they make an adverse comment, and they cannot prove that the comment is true, they are likely to have to shell out. Lots. On the other hand, they have a legal duty to make sure that any funds deposited in their bank are not being used for nefarious purposes. A pretty three-pipe problem if you can’t be explicit. There are ways round this. In days gone by (and it may still be so, for all I know, I haven’t tried it recently), if you wrote to a bank, a big company or an embassy and asked for their evaluation of a particular person’s honesty and trustworthiness, their response in the case of a real Berk was a snotty “We have no record of this person” or some equivalent explanation. Wow- where the heck is this “Jewish supremacy drive”? The Islamofascists are constantly proclaim their supremacy and the Jews just want to be left alone. The success of Jews, Israelis, Zionists PROVE that Islam is NOT supreme. So too does the success of Bahais, Buddhists, Christian, Hindus, Zoroastrians and more. such as the fact that the group and its leadership supports Hamas and their acts of violent “resistance”. Ah yes! ‘Resistance’. The very mention of which motivates much of the bed wetting extreme radical lefties to a frenzy of disillusion and moral preening. All people have the Right to Resist Islamofascism. Checkpoints at airports are Resistance to bombing of passenger planes. Hopefully Der Guardian will disappear off the shelves too – soon I hope. Inshallah!